I used to watch reruns of THE TWILIGHT ZONE. They had excellent scriptwriters creating many thought provoking stories. This debut novel by Jennifer Maschari would certainly make a great story for them to consider if the show ever returns. Charlie Price is a boy in grief after losing his mother to cancer. I anticipated a sad tale and many parts were, but Charlie’s journey to understand involves much more, especially when he finds a parallel world. It’s a place his younger sister discovered first through a portal under her bed. This world is just like their real one except for one crucial difference – Charlies deceased mom and his best friend who disappeared without a trace are alive and appear to be the same they were in the regular world. What could be a fantastic solution to eliminating his sadness soon turns into questions about what this new world is really trying to accomplish. It is through this journey of discovery that Charlie finds a the future that will be different, but also hopeful. A nice addition to the middle grade shelves. FULL PLOT (From AMAZON) Ever since twelve-year-old Charlie Price’s mom died, he feels like his world has been split into two parts. Before included stargazing and Mathletes and Saturday scavenger hunts with his family. After means a dad who’s completely checked out, comically bad dinners, and grief group that’s anything but helpful. It seems like losing Mom meant losing everything else he loved, too. Just when Charlie thinks things can’t get any worse, his sister, Imogen, starts acting erratically—missing school and making up lies about their mother. But everything changes when one day he follows her down a secret passageway in the middle of her bedroom and sees for himself. Imogen has found a parallel world where Mom is alive! There’s hot cocoa and Scrabble and scavenger hunts again and everything is perfect . . . at first. But something doesn’t feel right. Whenever Charlie returns to the real world, things are different, and not in a good way. And Imogen wants to spend more and more time on the other side. It’s almost as if she wants to leave the real world for good. If Charlie doesn’t uncover the truth, he could lose himself, the true memory of their mother, and Imogen . . . forever. The concept and the resulting story bring readers much more than expected. It is a fascinating look at how we deal with grief and even in fantasy, a lesson we can all use. The characters will be ones you care about deeply, and when the ends rolls around too quick you’ll smile knowing the author brought them to life in expert fashion. The story is actually an uplifting journey fit for kids and adults. Charlie’s devotion to his friends and sister was a touching tribute to just how emotionally heartfelt 12-year-old kids can be. Kids who are dealing with a loss in their life have a story to bring a sense of peace to their confusion. FAVORITE LINE: And even though Mom wasn’t here to cheer him on and he couldn’t quite depend on Dad to actually put an apple in his lunch, two plus two still equaled four. 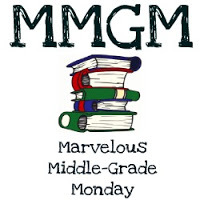 This entry was posted in Reviews and tagged Jennifer Maschari, male protagonists, Marvelous Middle Grade Monday, MG book reviews, Middle grade, The Remarkable Journey of Charlie Price. Bookmark the permalink. I like the sound of this book. A secret passageway? Thanks for the review and have a great week! I read this recently myself and oddly enough, I also thought of the Twilight Zone. (Guess that shows my age!) Yet it’s so much deeper than any half hour episode could be, and also reminded me a lot of CORALINE by Neil Gaiman. Plus, it ended just the way I wanted it to. Great minds think alike! CORALINE is also an excellent comparison. Thanks for your thoughts. There are many similarities between Charlie and the book I reviewed last week, Rules for Stealing Stars. The fantasy world seems exciting, but there are dangers. One of the sisters is nearly lost to the fantasy world, but comes back. I think magical realism can be helpful in helping youth come dealing with grief come to some resolution and healing. Excellent review. Will have to check out this book. I’m curious. I think you’d like this one. I’ve also added Rules for Stealing Stars to my future read list. Parallel worlds! I love that and it sounds like this author uses it to guide the young boy through his grief. Gosh, this sounds like something I need to add to my TBR list. It sounds lovely. Thanks for the review. Thanks for this recommendation. It sounds like a book I would enjoy. Thanks for the recommendation of The Remarkable Journey of Charlie Price, and happy reading! From your description, and the favorite line you quote, it sounds as if this book has a lot of needed humor in order to deal with the potentially upsetting subject matter. I tend to shy away from books about grief but, because of your review, will give this one a look.